Keep your car keys in a metal tin to dodge spate of keyless car thefts hitting Milton Keynes. Police are warning people not to leave their keys near their front door after a spate of keyless car thefts in Milton Keynes. The crafty crooks can stand near the door and use a special device and a laptop to intercept the signal from the car key. This can take less than a minute before the car is tricked into starting and driven away by the thieves. Over the past few weeks there have been six thefts and three attempted thefts of keyless cars in east Milton Keynes. 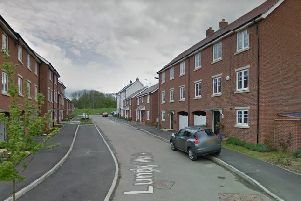 Police have now released CCTV footage of one of these thefts which took place in Dean Forest Way, Broughton at around 3.50am on Tuesday January 29. Investigating officer PC Mat Waters said: “By placing car keys in a metal tin and away from the front door, you can make it harder for offenders to intercept the signal from the key. Be aware of where your spare key is located as well and where possible, keep this in a tin too." He added: “As you can see from the CCTV footage, the signal from these keys can be intercepted in as little as one minute. “We are continuing to investigate these offences and if you have any information that can assist then please get in touch using our online form or by calling 101. You will need to quote reference number 43190028144. “Equally, if you see or hear anything suspicious around houses with keyless cars in your area then please let us know by contacting us online or by calling 101 or 999 if you believe a crime is in progress.